Akibasan Shinseiji Temple is the origin of the area name 'Arai' in Gyotoku. Arai means the new well, so Nozan Ogei, the founder of Shinseiji Temple dag a fine new well for people to live safe in Gyotoku. And Shakyozuka, a stone monument where written sutras ballied under stands in and Akiba Sanjakubo Daigongen, the god of prevening fires, is dedicated in Shinden Hall in Shinseiji Temple. The temple has many tall trees even in residential area in Gyotoku. Besides, it holds Shakyoe (meetings to copy sutras by hand), Zazene (Zen medication meetings) and tanka parties to study in it. 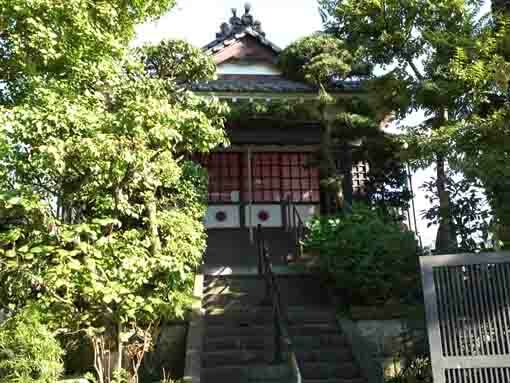 Moreover, Akibasan Shinseiji Temple is the 27th temple of the 33 Pilgrimage in Gyotoku and Urayasu. Why don't you visit Akibasan Shinseiji Temple? Akibasan Shinseiji Temple that is only a temple belonging to Soto Shu Sect in Buddhism in Gyotoku and Urayasu area was built in 1616. The head temple is of course Eiheiji Temple in Fukui Prefecture and Sojiji Temple in Kangawa prefecture, they are the Grand Head Temples of Sodo Shu. The main image is the statue of Shakamuni Butsu and they chant Shakamuni Butsu. Akibasan Shinseiji Temple is a branch temple of Hojoji Temple in Funabashi city and Nozan Ogei, the second chief priest of the temple, founded Shinseiji Temple. 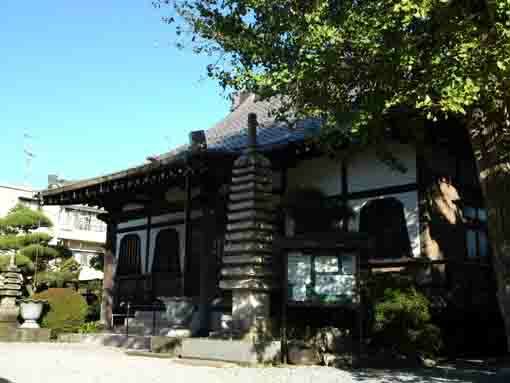 In addition, there is Shinden Hall to dedicate Akiba Sanjakubo Daigongen, the god of preventing fires, in Akibasan Shinsaiji Temple so it is the head temple of Akibasan in Kanto region. Every November 18th, Akiba no Himaturi (the grand festival to pray for preventing fires) is traditionally held in it and supporters, believers and many people around visit and pray. 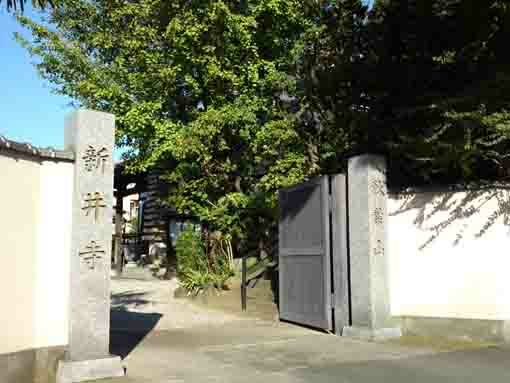 Moreover, Akibasan Shinseiji Temple has a stone monument of hand-copied sutras (Shakyozuka) that the 4th chief priest of it wrote them on clamshells and built the monument, then finally he gave him Kajo (cremated himself) to save people in Gytoku from disasters. Now the 29th chief priest has kept tradition of Akibasan Shinseiji Temple since it founded and has held funeral and memorial services of supporters by the teachings of Buddha and the founders. 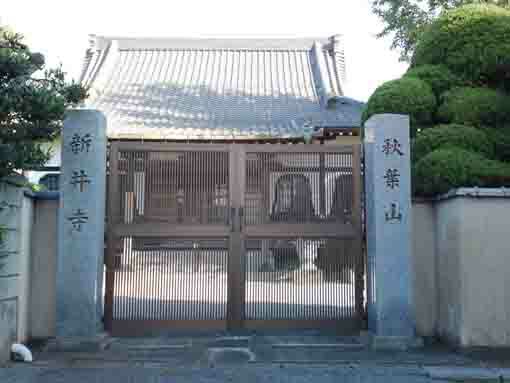 And Shakyoe (meetings to copy sutras by hand), Zazene (Zen medication meetings) and tanka parties to study are held in Akibasan Shinseiji Temple to propagate adapted to the times and societies. Akibasan Shinseiji Temple has a great accessibility from both Narita and Haneda International Airport. From Narita International Airport, take JR Sobu-express line, transfer the line at Nishi-funabashi to Tozai line of Tokyo Metro bound to Nakano or Mitaka, get off Myoden Sta. And also take Keisei-line, transfer the line at Funabashi to Sobu-Local line, and transfer the line at Nishi-funabashi to Tozai line of Tokyo Metro bound to Nakano or Mitaka, get off Minami Gyotoku Sta and Urayasu Sta. It takes minimally 60 minutes from Narita Airport. From Haneda International Airport, take Keikyu-line bound to Narita, transfer the line at Nihonbashi to Tozai line of Tokyo Metro bound to Nishifunabashi, Tsudanuma or Katsutadai, get off Minami Gyotoku Sta and Urayasu Sta. From Tokyo (Otemachi) Sta, take Tozai line of Tokyo Metro bound to Nishi-funabashi, Tsudanuma or Katsutadai, get off Minami Gyotoku Sta and Urayasu Sta. From Akihabara Sta, take Sobu line bound to Chiba, Tsudanuma or Nishi Funabashi, transfer the line at Nishifunabashi to Tozai line of Tokyo Metro, get off Minami Gyotoku Sta and Urayasu Sta.